An 11-year-old boy will get to try his hands at a White House job on Friday after penning a letter to President Trump, lending his lawn-mowing services to the White House groundskeeping crew. White House Press Secretary Sarah Huckabee Sanders announced at Wednesday's press briefing that Frank, a Falls Church, Virginia resident, will be visiting the White House on Friday to help cut the grass in the Rose Garden. In July, when he was 10 years of age (he has since had a birthday), Frank wrote to Mr. Trump saying it would be his honor to mow the lawn one weekend. "Even though I'm only ten, I would like to show the nation what young people like me are ready for," Frank wrote. 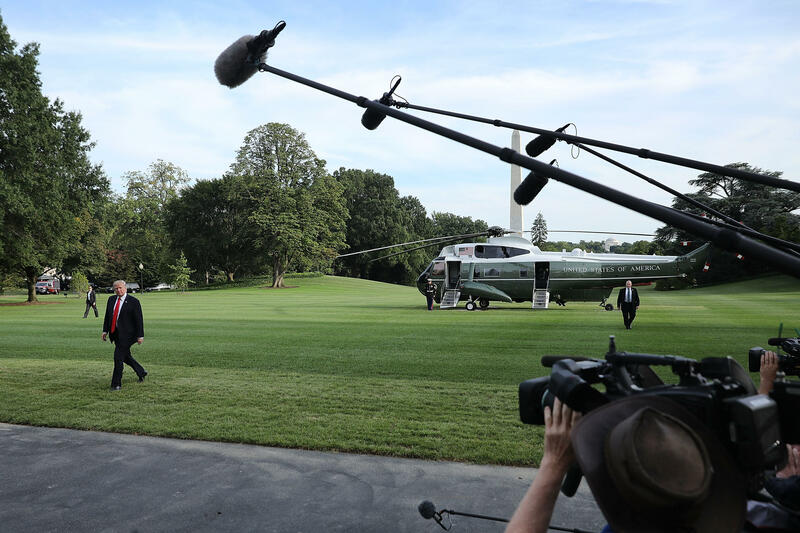 The young boy told the president that he admired his business background and had started his own business mowing his neighbor's lawns, even listing his various lawn care equipment that he could make available to the White House. "I can bring extra fuel for the power mower and charged batteries for the weed whacker. I will do this at no charge," Frank graciously added. Sanders has made a habit of reading letters written by children across the country before press briefings, previously reading aloud a note by a young child named Dylan, who also goes by "Pickle," who described having a Trump-themed birthday party and asked to be the president's friend. She told reporters on Wednesday that "the president is committed to keeping the American dream alive for kids like Frank, and we're all looking forward to having him here." Editor's note: An earlier version of this story said that Frank Giuccio was 10 years old, rather than 11 years old. He was 10 when he wrote to the president in July, but he has since had a birthday.